The aScope 4 Broncho gives you clear visibility of the near and distal bronchial segments. The clear, sharp images and adaptive light control make identification of lung anatomy and navigation in the bronchial tree easy. The high bending angles and precise tip motion allows you to easily navigate into all segments of the lung. And the lightweight and ergonomic design makes aScope 4 Broncho easy to use. 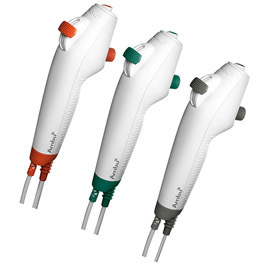 They are all equally connectable with Ambu&reg; aView™.